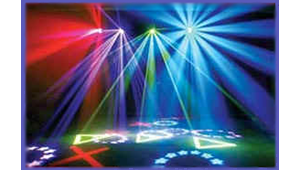 Our Lighting Systems are great lighting packages for mobile entertainers, bands and house party DJ's. We have made it easier and more affordable than ever to produce an amazing light show with our Lighting Systems. They provide what you'll need to add brilliant visual effects to your show without paying the extra for buying separate lighting components.